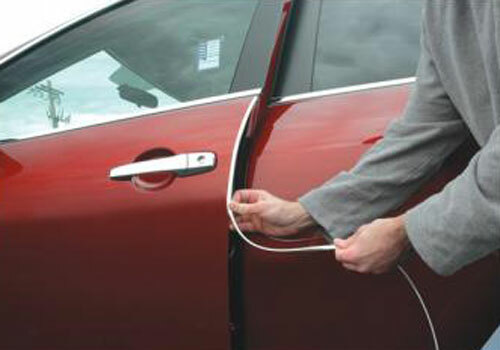 Cowles U-Shaped Door Edge Guards protect your doors from dings, chips, nicks, and scratches by creating a barrier on your door edge that absorbs impacts which occur when opening and closing the doors. Constructed of UV-treated, high-grade flexible poly vinyl chloride (PVC) combined with advanced adhesives ensure durability and a quality product. These door edge guards feature an easy push-on installation that can be done in the comfort of your driveway in minutes.